← Will We Become Automatons? Have you ever felt like the world was crashing down? That all you’ve ever known was useless? That all you wanted to do was give up? Well, so have I…along with everyone else who’s ever lived. It simply is a part of life. The scene above is from the 36 Chambers of the Shaolin (1978) featuring Chia Hui Liu. 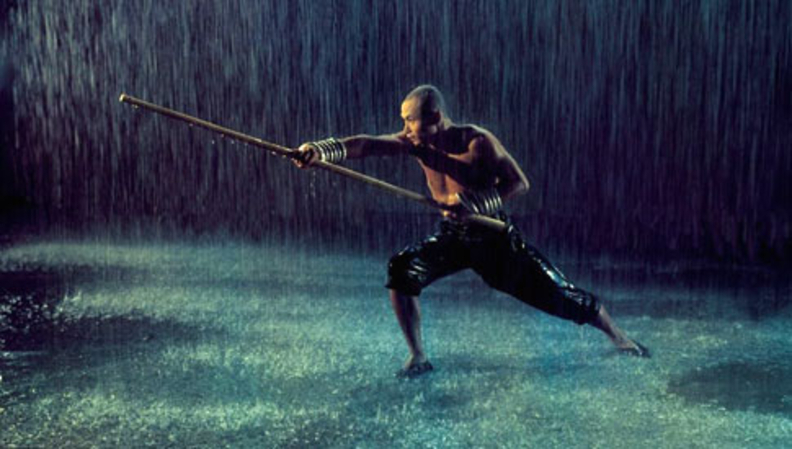 I can’t give a proper review since I haven’t seen the entire movie, but I’ve definitely seen enough of it to know that it’s about a young student named San Te (above) who enters the Shaolin temple to learn kung fu in order to avenge the death of his loved ones after a local rebellion. Upon entering the temple he is placed in the first chamber, in which he faced initial difficulties and failures. However, his strong determination and endless efforts proved him to be one of the best students as he quickly entered one chamber after the next. The 36 chambers of the temple reminded me much of life: each chamber is an obstacle, and each obstacle is overcome with determination and effort. Of course, each of us will confront more than 36 chambers, including some that will beat us to the ground. We will feel helpless, but with time we will enter the next chamber. Life is not easy – it never will be – but that doesn’t mean that we all are Sisyphus (at least I hope not). Whenever you feel like your boulder is going to slide down the hill, channel your inner San Te. You can do it! Note: We are a sociable species. If you ever need help in any of your chambers, the monks and abbots will help you. Just ask. This entry was posted in Can You Relate? and tagged 36 Chambers, Chia Hui Liu, christinepham, life's challenges, Shaolin. Bookmark the permalink.